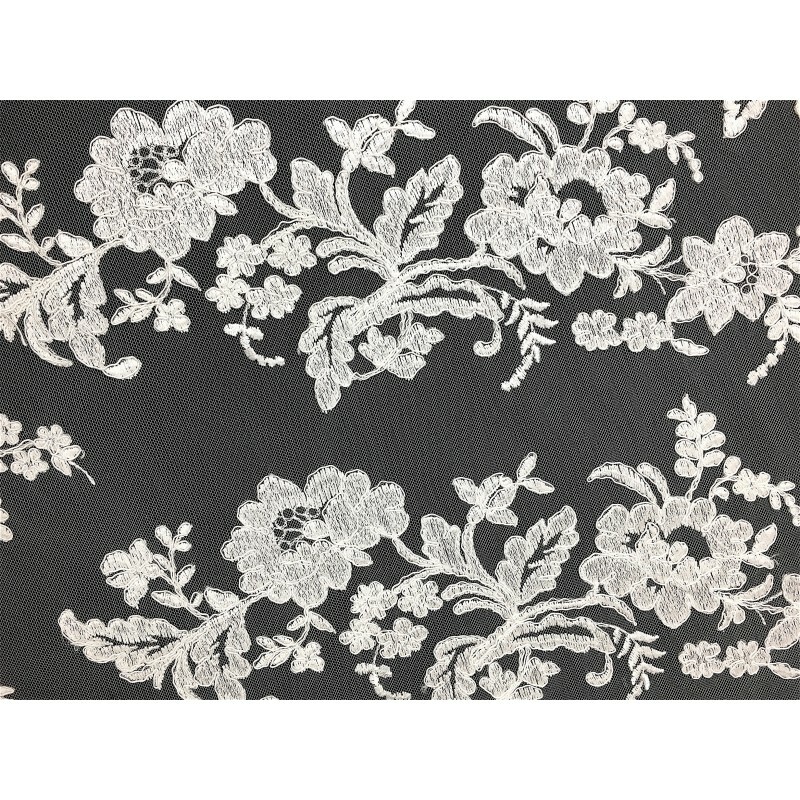 A gorgeous embroidered lace with an intricate pattern and no beading. This lace fabric is of a heavier weight and consists of a very textured surface. Ideal for an exquisite wedding gown, beautiful evening gown or top. Also available in Ivory color.